This article needs to be updated with material from Handbook: Major Periphery States. Once this title clears the Moratorium period, or if it already has, please consider revisiting this article and updating it with the new material, removing this tag once all information has been added. This article is about the region of space. For the sourcebooks about the region, see The Periphery. The Periphery refers to the region of space surrounding the Inner Sphere. The border between "the Periphery" and the "Inner Sphere" is generally 450 - 550 light years away from Terra. The Periphery is surrounded by the Deep Periphery, though the borders for this region of space are more nebulous. The Periphery is littered with small colonies and a handful of interstellar nations, legitimate or not. Although some Periphery colonies pre-date the Star League, this region of space remains sparsely populated and fiercely independent. Worlds within the Periphery tend to lack amenities available within the Inner Sphere, including faster-than-light communication. However, the Periphery is not devoid of civilization and culture. Interstellar trade is common, and a handful of strong Periphery realms have emerged over the centuries. Always restless and rebellious, the largest Periphery states were subjugated by the SLDF in the Reunification War. Further, the Amaris Civil War resulted in the destruction of the largest Periphery realm, the Rim Worlds Republic, and a lasting vilification of the Periphery in general. Though largely spared the horrors of the Succession Wars, Lostech development within the Periphery has been relatively stagnant. The density of settlement within the Periphery is directly related to the time of initial settlement, initial success, resources, and Inner Sphere interference. Resource-rich regions of the Periphery, including the Hyades Rim (abundant mining and natural protection) and the Outer Sphere (fertile lands), developed colonies with relative ease. Colonial efforts in both regions slowed significantly after the Reunification War. Abundant colonization also occurred in the Marik Expanses, due primarily to defection from the porous Free Worlds League and the relative freedom guaranteed its settlers. With the horrors of the Succession Wars, expansion has continued at a moderate pace. The Rim Worlds Republic, however, developed in the Rift with only one overly abundant resource - privacy. 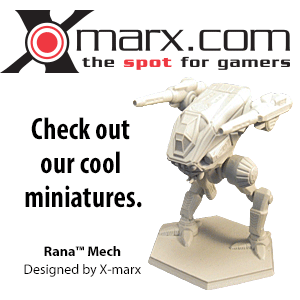 Following the Amaris Crisis, colonial efforts within the Rift have mostly been stagnant. Extremely sparsely populated regions of the Periphery also exist. The Draconian Drift is home to few Periphery colonies, mostly independent systems and small pirate havens. The Capellan Marches are also particularly sparsely populated. This paucity of settlement is due to random chance (fewer settlers) and lack of viability. Further, the Capellan Confederation largely ceased its colonial efforts and maintained a proactive diplomatic stance towards the Periphery by the 25th century. Whether the Confederation's stagnant colonial efforts are due to lack of interest in nearby uninhabited Periphery systems or mere lack of desire to move towards the Periphery are debatable. Despite previous lack of interest, the Capellan Marches were one of the fastest-growing regions within the Periphery during the mid-31st century, primarily due to the combined efforts of the Magistracy of Canopus and the Taurian Concordat. The Periphery is largely unpopulated. The inhabitants are brave (or foolish). Little centralized government and economy means poor education and medicine. Worse, the Periphery is home of interstellar villains bent on destruction. The denizens of the Periphery care nothing for the welfare of the Inner Sphere. The first two of these views became prevalent when the nascent Star League began an anti-Periphery propaganda campaign run around 2571, just before the commencement of the Reunification War. The third of these three views became popular in response to the callous indifference of Magistrix Janina Centrella, who ruled the Magistracy of Canopus during the Amaris Civil War. Most Spheroids also believe the paucity of settlements means small groups practice vigilante ("frontier") justice, but given the vast nature of the Periphery, bands of criminals are able to find refuge and depredate the weak. Spheroids generally dismiss Periphery nations as "Bandit Kingdoms". Periphery denizens commonly harbor a grave mistrust, callous indifference, or ruthless social Darwinist tendencies towards the governments and people of the Inner Sphere. Upon discovery of (most) Periphery realms, the Great Houses of the Inner Sphere tended to depredate Periphery realms. After the end of the Reunification War, the Territorial Period began. The economic and industrial burdens placed upon the Periphery, all a result of short-sighted Star League policies, crippled the Periphery and froze most major Periphery realm expansion for more than 400 years. Though generally not robust by Inner Sphere standards, the central governments of the Periphery were capable entities before the Territorial Period; the Periphery denizen has not forgotten these transgressions. From approximately 2600 to 2750, the major Periphery realms were forced to participate in the Star League High Council as non-voting Territorial States. Territorial States were forced to pay steep taxes, with little return. Those people who did not emigrate to new colonies were gravely mistreated by the heavy-handed economic policies of the Star League, policies which ultimately led to the death of many worlds after the demise of the Star League. Though the Periphery had been self-reliant for centuries, the Star League Bureau of Economics, Agriculture and Technology attempted to dissolve most of this independence to ensure that the Periphery would never leave the Star League fold. Through the creation of (mainly) short-lived "co-prosperity spheres" shortly after the Reunification War, systems were forced to specialize in a specific industry and rely on interstellar trade for everything else in order to survive. The intention was simple: if a world revolted, an embargo would pacify the world relatively quickly. Massively unsuccessful, the co-prosperity sphere resulted in more famines, unrest, lost production and outrage, and did little to avert revolt during the trying times following the Reunification War. The program ceased expansion in 2602, and was all but completely dissolved in 2612. The Star League then turned its efforts to two resources it could control, energy and water. Using the economic might of the Inner Sphere, the Star League outcompeted nearly all domestic production of water purification equipment and power plant equipment. Less than 3% of these domestic industries survived until the fall of the Star League. The cessation of much of the interstellar trade late in the 28th century resulted in the demise of many worlds, unable to generate power or purify their own water. The crisis became so grim, neighboring Periphery systems began depredating each other in the event of a boom in industry, savaging industrial expansion and independence. Concerted efforts by several worlds or a larger, centralized governments, were also savaged; an Inner Sphere power would generally take interest, and raid the new facilities to alleviate their own crises. Meditate on "the many benefits that the bountiful Star League has bestowed on us"
The "Second Invasion of the Periphery", the migration of undesirables (including the poor and uneducated, anarchists, carpetbaggers and speculators, and political and religious extremists), increased the economic burden on the already crippled, post-war Periphery economies, leading to even greater mistrust. Though some Periphery and Deep Periphery settlements were located well over 500 light years from Terra, it was during this "winter of our discontent" in which another outward migration commenced; this time, Periphery denizens decided to migrate even farther from Terra in order to escape the unwanted Star League. Inner Sphere stereotypes of the Periphery are not altogether unwarranted, especially given the history of the Amaris Civil War. Today, many Periphery worlds are indeed little more than hideouts and havens for groups of criminals (bandits, pirates, assassins, renegades and deserters) or undesirables (misfits, expatriates, religious extremists and fanatics). Those who have resorted to violence and piracy often find it difficult to become legitimate. The lack of society and the presence of privateers makes interstellar trade quite dangerous, reducing the availability of needed supplies, which in turn forces locals to resort to more privateering in order to maintain their settlements - a clear vicious cycle. For those who do not want to be found, the relative lack of centralized authority and communications in the Periphery is well suited to providing refuge or seclusion. For just such reasons, large corporate interests have also colonized or occupied Periphery worlds in hopes of conducting business beyond prying eyes and (sometimes) ethical constraints, a trend begun during the Territorial Period. During the Territorial Period, backwater Periphery worlds were used as testing grounds for the latest in Star League BattleTechnology (frequently to the terror of the local inhabitants). Ironically, the fringe demographic of the Periphery was an unintended consequence of the Inner Sphere's Reunification War. Much of the fringe elements common in the Periphery emigrated between 2610 and 2680 during the "Second Invasion of the Periphery", a migration made possible by the lack of central governments (disrupted or destroyed by the Star League) and the removal of Star League garrisons. However, the Periphery is not simply a refuge for the fringes of society. Indeed, the most influential Periphery realms—particularly the ones found along the Rimward Periphery—can be compared favorably with smaller Inner Sphere powers, with greater degrees of liberty and education. Contrary to Inner Sphere stereotypes, only the most backwater or environmentally-hostile planets lack at least some industrialized, 20th-century-level civilization, with major capital worlds like Taurus or Coromodir being almost indistinguishable from Inner Sphere worlds in sophistication and development. The relative freedoms of the Periphery have also drawn refugees or deserters of the Succession Wars who sought peace for themselves and their families. Those living in the Periphery also have a distinct set of core values compared with those of an Inner Sphere denizen. The majority of Periphery settlers (and their descendants) were/are individuals who live without the relative comfort of Inner Sphere civilization. As such, Periphery denizens tend to care less for technology, large government, wealth, communications or medicine and education. Hard living and self-determination are generally held in the highest regard with the majority of Periphery denizens. Omniss - The Omniss is a common philosophical movement found in the Outworlds Alliance. Followers believe that technology is the root of human suffering, and advocate (sometimes aggressively) for a return to a simpler life. New Hedons - Believing humanity has begun an irrevocable decline, the New Hedons have decided to embrace pleasure for pleasure's sake at the expense of all else. Pan-Humanists - The conciliatory Pan-Humanists believe in a common thread/course and goal for all humanity, and labor to reconcile feuds. Antithesis Creed - Common in the former Rim Worlds Republic, followers of the Antithesis Creed revile all things distinctly Terran or reminiscent of Terra in Inner Sphere culture. Inheritors - A militant sect of the Antithesis Creed, the Inheritors believe that the strife of the Succession Wars will result in the weakening of the entire Inner Sphere. The movement prepares itself for a time when the Periphery may conquer the exhausted Inner Sphere. Far-Lookers - The Far Lookers of the Taurian Concordat seek to rekindle an age of pioneering and exploration, as a way to expand and improve humanity. 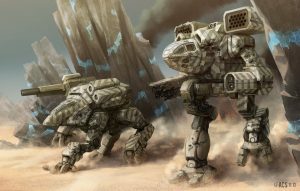 Brotherhood of Randis - The Brotherhood of Randis is a pseudo-religious order which provides a monastic life for MechWarriors to perfect the art of BattleMech combat, or to escape the battlefield entirely. Periphery states range from single independent planets, minor alliances, small confederations, trade conglomerates, and major interstellar nations. The largest Periphery realms are able to rival some Successor States in wealth, education, political power, and military might. Major Periphery powers have prospered as a result of the "Piranha Principle". A larger Inner Sphere state, for example the Free Worlds League, would be able to conquer the Magistracy of Canopus. However, the effort required to subdue the Magistracy would require the League to lower its defenses against both the Lyran Alliance and the Capellan Confederation. The cost required to subjugate a major Periphery power has allowed larger Periphery realms relative peace. Though Periphery realms have experienced several wars, only twice, during the Reunification War (2577-2597) and the Amaris Civil War (2767-2780), has the undivided attention of the Inner Sphere military-industrial complex been aimed at Major Periphery powers. Rim Worlds Republic: The greatest of the Periphery realms, the Rim Worlds Republic was founded in the Rift and flourished undiscovered by the Inner Sphere for 88 years. The Republic was directly involved (and destroyed) during the fall of the Star League. Taurian Concordat: The largest of the existing Periphery realms, the Taurian Concordat is located within the Hyades Rim. The Concordat is noted for its fiercely patriotic people and mild xenophobia. Magistracy of Canopus: The Magistracy of Canopus was founded by Free Worlds League defectors and expatriates in the Marik Expanses. The Magistracy is a hedonistic matriarchy, allied with the Capellan Confederation after the mid-3060s. Outworlds Alliance: Located in the Outer Sphere, the Outworlds Alliance was settled by pacifists, protesters, refugees, and (later) the fringes of Inner Sphere society. The Alliance peacefully merged with Clan Snow Raven and was renamed the Raven Alliance during the beginning of the Jihad. Marian Hegemony: The Marian Hegemony is a small, aggressive state, located among the March Worlds. The Hegemony is noted for its adoption of an Imperial Roman social model. Oberon Confederation: A former bandit kingdom located in the Rift, the Oberon Confederation attempted to achieve legitimacy, but was conquered by the Clans during their initial invasion. Aurigan Coalition: A semi-republican Kingdom, it borders the Taurian Concordat and the Capellan Confederation, but has tighter ties to the Magistracy of Canopus. The coalition has a nominal ruler, but most power resides in the Council of Founding Houses. A civil war from 3022 to 3025 briefly replaced the government with the totalitarian Aurigan Directorate, but they were quickly overthrown, and power returned to the Coalition. Barony of Strang: A Bandit kingdom ruled by House Von Strang, descendants of supporters of Stefan Amaris, overrun by the Clans. Calderon Protectorate: A small cluster of recently colonized systems spinward of the Taurian Concordat. Circinus Federation: A Bandit kingdom which sided with the Word of Blake to stave off an invasion by the Marian Hegemony. Subsequently annihilated during the Jihad. Elysian Fields: A protectorate of the Oberon Confederation overrun by the Clans. Fiefdom of Randis: a neo-chivalric order of MechWarriors based on Randis IV. Filtvelt Coalition: Became independent from the Federated Suns in 3072 during the Word of Blake Jihad. Fronc Reaches: Formerly named the New Colony Region, this nation gained independence in 3066. Greater Valkyrate: A Bandit kingdom overrun by the Clans. Illyrian Palatinate: A minor Periphery state conquered by the Marian Hegemony. Lothian League: A minor Periphery state conquered by the Marian Hegemony in 3063. Mica Majority: A minor collection of atmospherically domed colonies. The New Belt Pirates: A pirate band that managed to survive the Clan Invasion due to location in a large asteroid cluster. They had access to a large germanium supply and JumpShip repair yards. Niops Association: A tiny collection of secular, isolationist colonies. Rim Collection: Consisting of many former Rim Worlds Republic worlds, the Rim Collection formed in the 3040s to stave off pirate attacks. Tortuga Dominions: A Bandit kingdom. For some Periphery Independents, the Succession Wars indirectly led to great instability, resulting in the rise and fall of hundreds of small states, many much smaller than the nation-states of 21st century Terra. For other Periphery Independents, the Succession Wars have been a boon, supplying a safe haven or even a source of cheap soldiers.